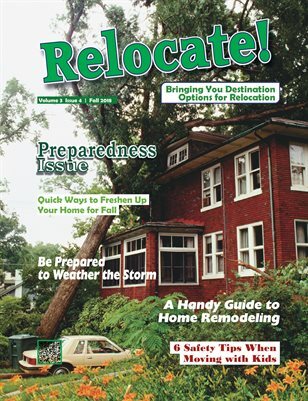 (Family Features) Disasters can happen anywhere and at any time, and the emergency situations that follow can typically involve life-altering decisions, actions and consequences. No matter what region you and your family live in and regardless of which large-scale threat your area could be subject to, being prepared is crucial to handling these frightening situations in a proper manner. Following these tips can help you be ready for emergency scenarios. Understand potential threats. The starting point for building a preparedness plan is knowing what to prepare for depending on your geographical region, time of year and many other factors. For example, some families may need to be ready for an earthquake while people thousands of miles away need to think about the possibility of tornadoes. Communication is key. Put into place a family communication plan that everyone frequently reviews for understanding. Knowing where to be, where your family members are and what everyone needs to do can be the difference between thinking clearly and making poor decisions. This also includes making certain that all family members have important phone numbers written down, saved or memorized. Create a kit. What belongs in your emergency kit depends largely on the scenario you’re preparing for, but regardless of the situation, having the necessary supplies in one place can come in handy. Material items like flashlights, batteries, cellphone chargers, extra cash, maps, blankets and medical supplies are nearly universal in their usefulness for emergencies. Adding a similar emergency kit to your car could be useful, as well. Prepare nutrition. Keep a ready supply of non-perishable snacks and drinks. If you were to lose power, you’ll want to avoid opening the refrigerator, which releases trapped cold air and reduces the amount of time food will store safely without spoiling. After most perishables are exposed to temperatures over 40 F for two hours, you’ll need to discard them, though a full, sealed freezer can hold its temperature for up to 48 hours. Learn safety practices. All members of the family can learn how to administer first-aid or CPR in case of a health emergency or a situation that requires quick medical attention. Emergencies can easily go from bad to worse without proper training. Store important documents. Keeping important paperwork and documents in a secure, accessible location is vital in case of an emergency that would cause evacuation. Birth certificates, insurance policies, deeds and titles, plus any other financial documents could make an evacuation, short-term or long-term, that much easier to handle. Ideally, they should be stored in a fire-proof safe in an easily accessible area of the home. Stay informed. When it appears that an emergency could be looming, such as a severe weather situation, make sure to turn on a TV for news updates or a weather radio to stay in tune with your surroundings. Finding information online with a laptop or cellphone can be helpful as well, but make sure to keep devices charged in case of a power outage. While disasters and the emergencies that accompany them can be difficult to think about, planning for them is one of the best ways to keep your family safe. Find more emergency preparedness tips at eLivingToday.com.